Are Sweet Potato Fries Healthier Than French Fries? Sweet potato is the more nutritious cousin of the common white potato. Does that mean you can make fries out of them that would be healthy or, at least, healthier than regular French fries? Let’s look at both side by side. The key difference here is the main ingredient. Sweet potatoes have nearly twice as much fibre and a lot more vitamin A than regular white potatoes. Overall, they carry more essential micronutrients at a similar calorie count of about 80 kcal. Sweet potatoes are the more nutrient-dense option, so you could call them healthier. Let’s see what happens when you fry both types of potato. As the name suggest, both of these varieties are fried, which means both will be full of oil and dense with calories. They will both also contain some potentially harmful compounds. Acrylamide, for example, which is formed when starchy foods are fried as a result of a reaction between the amino acid asparagine and certain sugars. Sweet potato fries are slightly higher in calories than French fries which makes them less desirable for those trying to limit calorie intake. But they still carry more vitamin A and other micronutrients, giving them the nutritional edge. Regular consumption of French fries has been linked to increased risk of obesity, type 2 diabetes, and high blood pressure in observational studies. 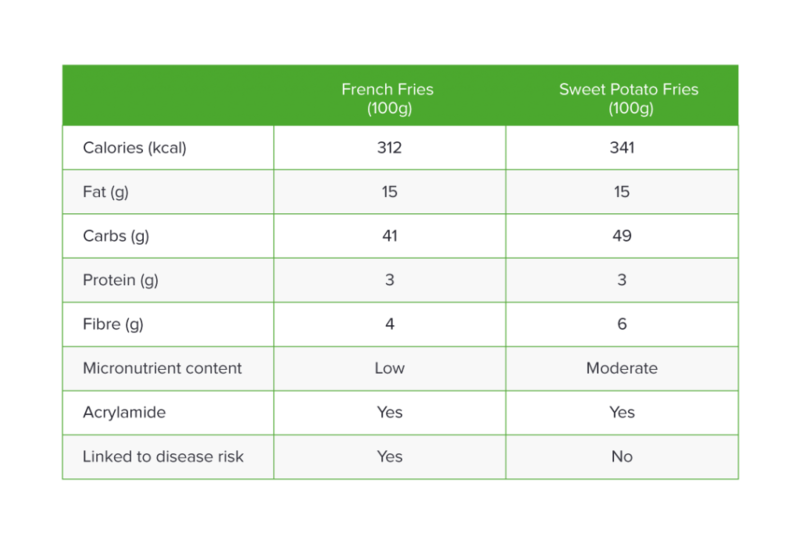 We don’t have the same data for sweet potato fries but that is likely because French fries are a much more popular side-dish that’s also more often consumed in the context of a fast food meal – served with a dip on a side of a burger and sugary soda. Sweet potato fries, having very similar composition, might very well carry the same risk depending on the quantity and context people eat them in. As you can probably tell by now, neither kind of fries is substantially better. The impact on your health will be dependent rather on the frequency and quantity of fries you eat than on the type of potato used. If you want to enjoy potato that’s truly different in nutritional profile, and quite possibly healthier too, go for baked potatoes. Baking produces fewer acrylamides than frying and there’s no need to use oil which also makes it a less caloric food. Baked potatoes are also less palatable than fries for most people so it’s easier to avoid overeating. 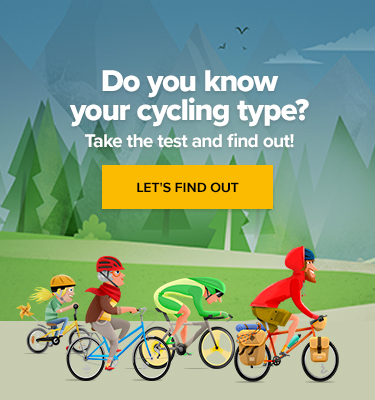 Is the German Government’s New Bike Safety Ad Sexist?